Hyde Park, NY – The Culinary Institute of America announced the opening of the newest restaurant by the CIA Restaurant Group on the Hyde Park, NY campus of the world-renowned college. Post Road Brew House is a casual, contemporary American beer-driven pop-up restaurant combining seasonal Hudson Valley cuisine with classic European gastro-classics. 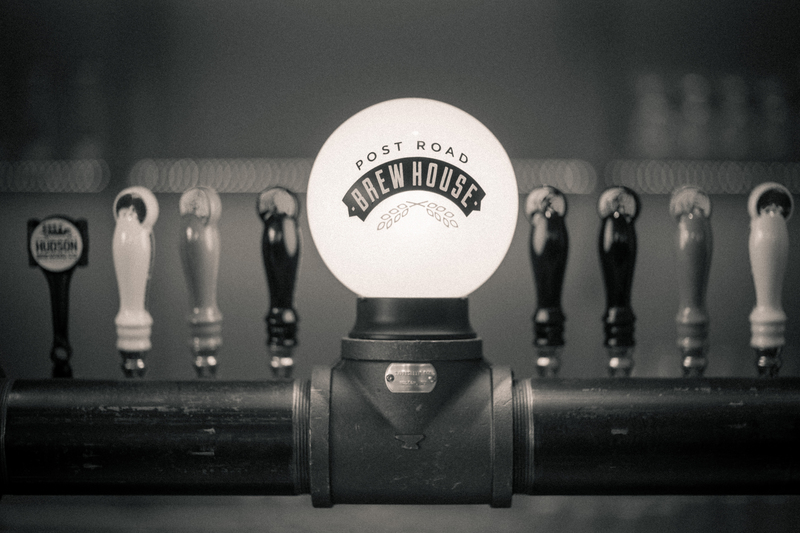 Opening in the midst of the Mid-Hudson Valley’s “Bread Basket” revival, the Post Road Brew House serves as an extension of the Brewery at the CIA, offering elevated pub fare alongside an extensive beer menu. The a-la-carte menu, created by Executive Chef and Assistant Professor Theo Roe, includes a mix of casual and classic appetizers, entrees, and sides designed to pair perfectly with the beer selection. With an emphasis on seasonal Hudson Valley ingredients, American comfort dishes like Pastrami Reuben Sandwich, The Post Road Burger, and Deviled Eggs are balanced out by European gastro-classics like Housemade Charcuterie, Classic Cassoulet, and Fish & Chips. The beer menu at Post Road Brew House has been curated by the CIA’s head brewer, Hutch Kugeman, working closely with the chef. On tap, eight draught beers are featured, including those made by the Brewery at the CIA, and others through collaboration with New York State breweries. Among the selections on the opening menu are the Cleaver IPA (6.7% abv) and Mise en Place Wit (4.6% abv), both of which are staples from the Brewery at the CIA. The Beefsteak Blonde (5.7% abv) is a traditional German-style Kolsch. The latest beer from the Brewery’s Art and Science of Brewing class is the Wee Chef Scotch Ale (7.5% abv). The Smash Stout (6.0% abv) brewed with Indian Lager Farmstead in Altamont, NY and C.H. Evans Brewing in Albany, as well as a not-yet-named Pilsner brewed with Community Beer Works of Buffalo, NY, will also be served. Beer flights are offered, as well as beer education, information, and programs for customers based on their interest and level of knowledge. The extended beer list may include non-CIA beers on tap and a small bottled list, in addition to a full bar, cocktail menu, and special wine list. Located within the former St. Andrew’s Café, the bar at Post Road Brew House is the star of the room. The decor throughout the restaurant is contemporary with an eclectic mix of new, found, and repurposed furnishings that reference brewery culture, CIA history, and Hudson Valley agriculture. Upon entering the restaurant, guests are greeted by a 6-seat beautiful custom zinc bar and tap system made locally by William Thibeault of Tapped Beer in Hudson. Extending the pub experience throughout the restaurant, Post Road Brew House is set with high-top tables alongside traditional dining-room-height seating. Restaurants located on CIA campuses are open to the public and serve to provide practical experience for students. As part of the requirements for the associate degree, students have classes in two of the five restaurants on the Hyde Park campus: Post Road Brew House, Ristorante Caterina de’ Medici, American Bounty Restaurant, The Bocuse Restaurant, or the Apple Pie Bakery Café. Post Road Brew House is open from February 16 to June 15, 2017 for dinner, and March 24 to May 4 for lunch. Reservations are recommended, but walk-ins for the bar or dining room are also welcome. Call 845-451-1015 or visit www.postroadbrewhouse.com. Founded in 1946, The Culinary Institute of America is the world’s premier culinary college. Dedicated to developing leaders in foodservice and hospitality, the independent, not-for-profit CIA offers bachelor’s degree majors in management, culinary science, and applied food studies; associate degrees in culinary arts and baking and pastry arts; and executive education through its Food Business School. The college also offers certificate programs and courses for professionals and enthusiasts. Its conferences and consulting services have made the CIA the think tank of the food industry and its worldwide network of 49,000 alumni includes innovators in every area of the food business. The CIA has campuses in New York, California, Texas, and Singapore. The CIA Restaurant Group is a family of unique restaurants that provide an array of culinary experiences, from modern French to farm-to-table and from authentic Italian to new global flavors. They are united by their common passion for culinary excellence and their relationship to The Culinary Institute of America, the world’s premier culinary college. Learn more online at www.ciarestaurantgroup.com.